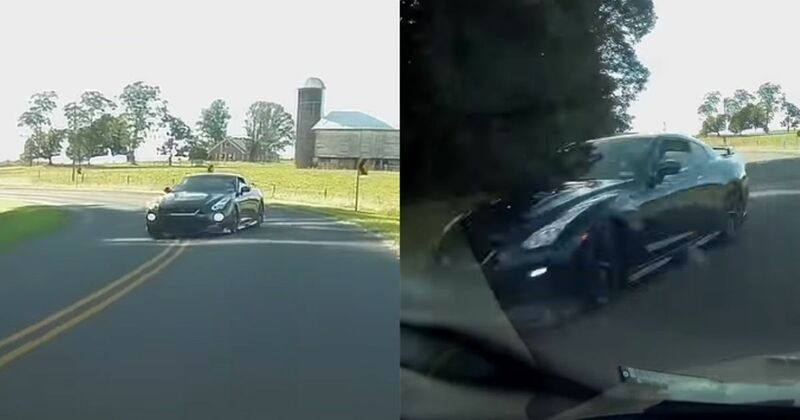 In a dashcam video that’s sure to make you involuntarily clench, an R35 Nissan GT-R is seen having a massive sideways moment on a blind bend. 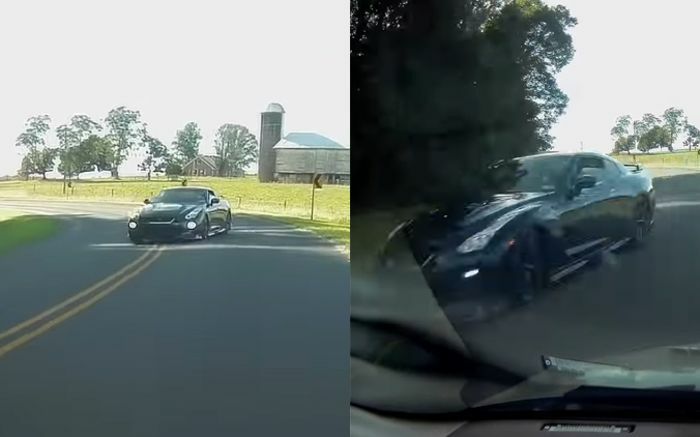 They’re just about able to hold it, but there’s a problem - the camera car, which is driving the other way on this road in Augusta County, Virginia. Fortunately, the latter driver quickly swerved out of the way and onto a grass verge, narrowly avoiding contact with the wayward Nissan. We’re thinking this can be classed as code brown territory. On Reddit, the uploader speculated that it was a case of lift-off oversteer since no engine sound was heard just before the car appeared. A 30mph sign can be seen at the start of the video, but the camera car driver reckons the GT-R was doing over 60mph on corner entry. “He probably knew the turn, knew what he was doing, and was intentionally pushing the limits,” he added.